Can't find the words to express your excitement for Pope Francis' visit to the United States? Say it with emojis. The Popemoji app contains more than 60 stickers and animated GIFs of the pope that users can add as a keyboard to any number of messaging apps. Excited to see Pope Francis in New York? Share a sticker of him posing next to the Statue of Liberty or riding in a classic yellow taxicab. Wondering how he'll spend his time in Philadelphia? Check him out eating a Philly cheesesteak and visiting the Liberty Bell. The emojis were commissioned by Aleteia.org as a part of the "Good is Winning" initiative by the global Catholic network Aleteia.org. "Emoji are so ingrained in digital and social language, particularly among young people, that it was natural to make them an element of our digital effort to support Pope Francis' visit to the U.S.," said Kathleen Hessert. Hessert founder of Sports Media Challenge, which is overseeing the digital aspect of Aleteia.org's effort. 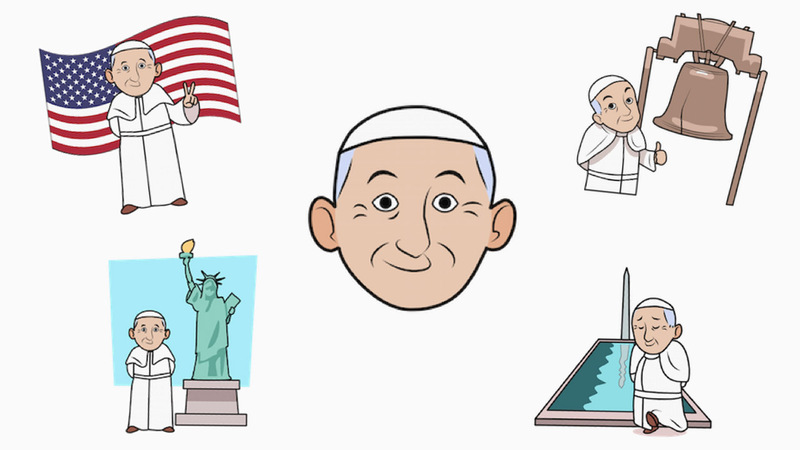 While unconventional, the pope emojis might just be the perfect format to discuss Pope Francis' visit to the United States. The pope has embraced the digital age and has more than 7 million followers on Twitter, where he shares his views on society and faith. 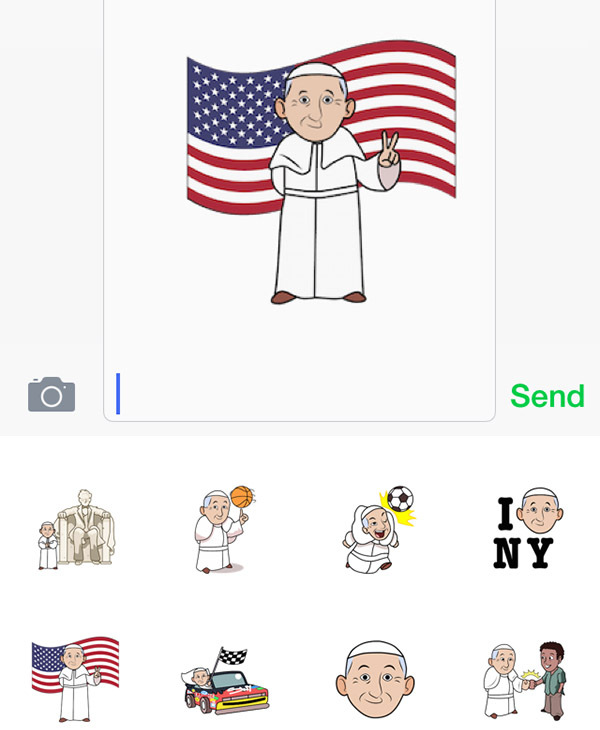 Popemoji is free and is available for both iOS and Android.